So spring is finally here, which means it’s time to get to work in the yard. 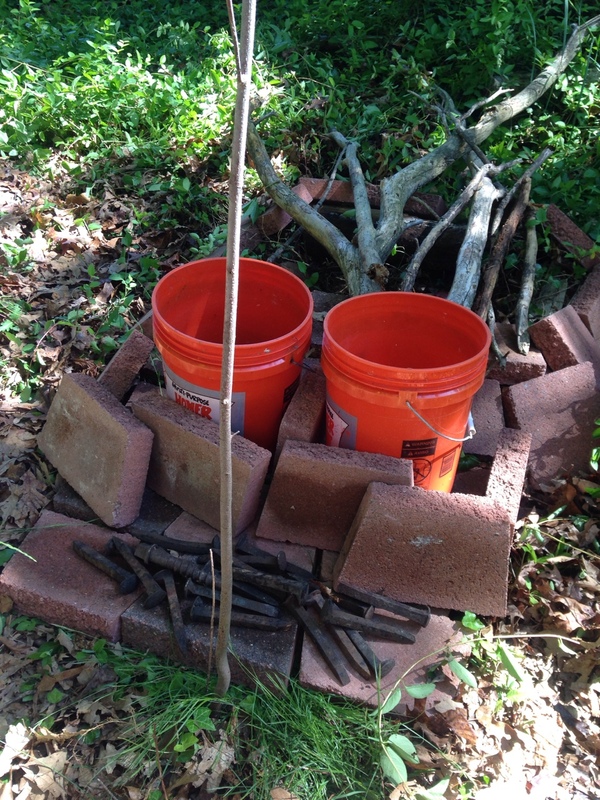 What here looks like a pile of bricks, railroad spikes and buckets is actually sacred space. The buckets are where I’ll be macerating animal skulls, and behind those buckets is a cairn, lovingly named The Pit, a portal and workspace for interfacing with the land’s basimbi (land-spirits, put simply). 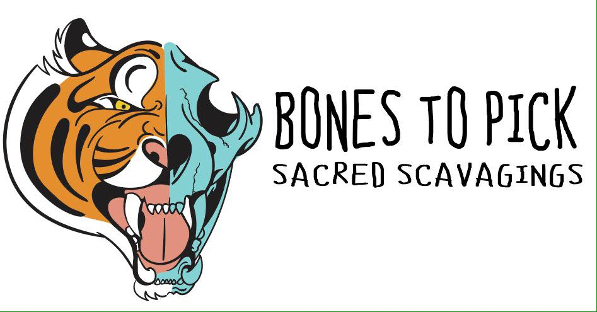 This here is a work in progress, and will actually be expanding outward as time goes on, and more animal skulls and bone get processed and transformed into important tools for ritual and ceremonial use. As an animist and Palero, I see all life as being sacred. Which is why, for me, absolutely nothing goes to waste. Everything has value, from the blood that’s shed, to the meat that’s eaten, to the skulls and bones that’re left behind. The processes of death, decay and rot are just as sacred, and just as infused with life and potential. Witnessing and working with these processes is deeply influential to understanding the workings of life itself, and is far from what most people would see as “morbid” or “depressing”.